After making “incredible manoeuvres”, he crashed the plane and was killed. 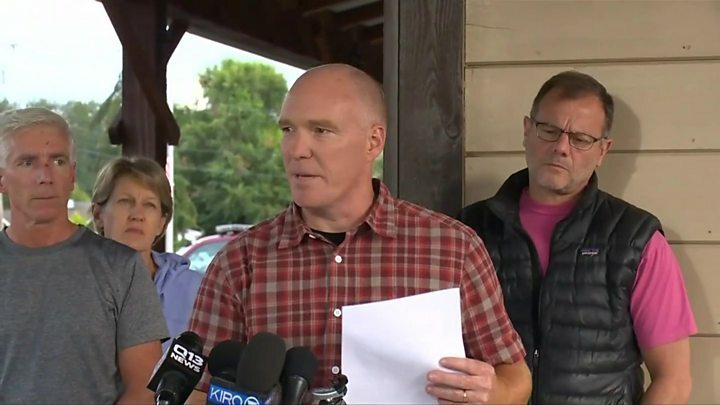 “At this time, we believe he was the only one in the aircraft but of course, we haven’t confirmed that at the crash site,” said Jay Tabb, chief of the FBI’s Seattle division. Transcripts of his conversation with air traffic control reveal a man who appears surprised about his feat, who is unclear as to the full operations of the plane, who has no intention to hurt anyone and who ultimately apologises to his loved ones, saying he is “just a broken guy”. 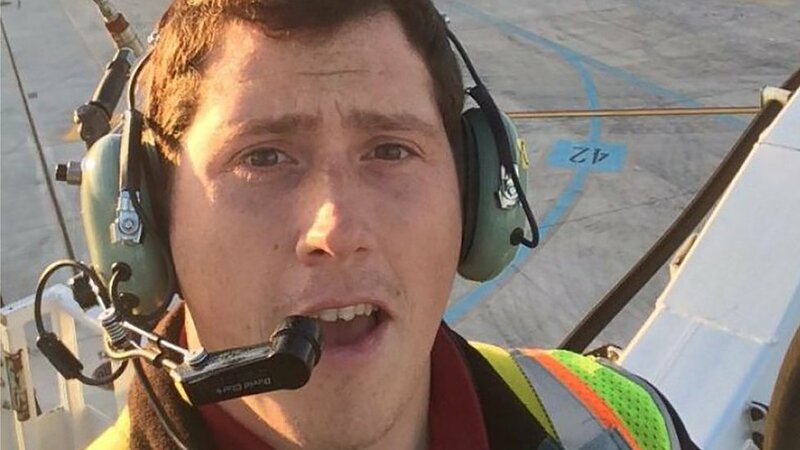 The airline worker, whose nickname was Beebo, has not yet been formally named as the pilot of the plane but he has been identified as such by his family and by US media. In a statement, his family said they were “stunned and heartbroken”. According to an online blog, Mr Russell lived in Sumner, Washington. He was born in Key West, Florida, and moved to Wasilla, Alaska, when he was seven years old. His profile tells of how he met his wife in Oregon in 2010 and says they ran a bakery together there for three years before moving to Washington to be closer to her family. Mr Russell was active in the local Christian youth ministry, often working with troubled children. He also writes about his job with Horizon Airlines, saying he is “able to fly to Alaska at my leisure”. “In this season of life we enjoy exploring as much as possible, whether it’s a day (or so) trip to one of Alaska Airline’s destinations, or visiting a new area of Washington,” the blog post, apparently written two years ago, says. A former airline colleague of Mr Russell described him as a “quiet guy”. Mike Ehl, director of aviation operations at the airport, said the employee “had access legitimately” to the plane and that “no security violations were committed”. 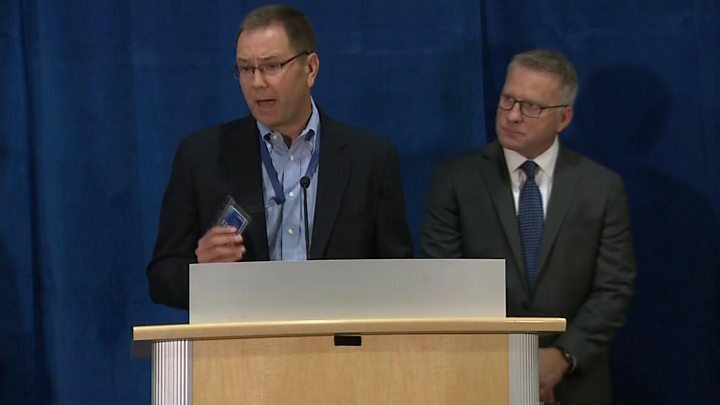 Alaska Airlines CEO Brad Tilden said the worker had been “background checked”. “He worked his shift yesterday and we believe he was in uniform,” he added. 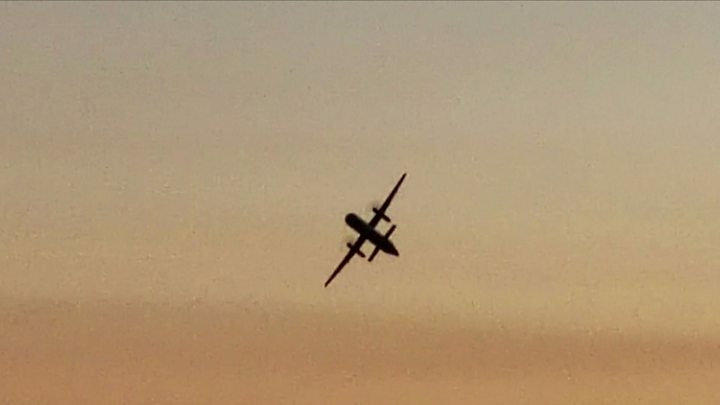 Gary Beck, CEO of Horizon Air, said that “to our knowledge, he didn’t have a pilot’s licence” and that he had no idea how he had gained the skills to fly such a “complex machine”. FBI spokeswoman Ayn S Dietrich-Williams said agents were working with the transportation safety board and other groups to process the scene of the crash. Officials say the employee used a pushback tractor to first manoeuvre the plane 180 degrees from a maintenance location into the correct position for take-off. The North American Aerospace Defense Command (Norad) issued a statement saying that two F15 fighter jets were launched from Portland to intercept. A number of videos showed them following the passenger plane. Norad said the F15s were “working to redirect the aircraft out over the Pacific Ocean when it crashed on the southern tip of Ketron island”, about 30 miles (48km) south of the airport. “Norad fighters did not fire upon the aircraft,” it said. What did the pilot say to air traffic control? Richard Russell’s messages vary from options for landing, to apologies for what he is doing to the often bizarre. But he also shows a limited knowledge of operations, acknowledging that the amount of fuel used on take-off was quite a lot more than he expected and that some instructions to him were “mumbo jumbo”. However, there are also indications that Mr Russell might not have been expecting to land safely. He talks of doing a barrel roll and “calling it a night” by going “nose down”. He also says: “I’ve got a lot of people that care about me. It’s going to disappoint them to hear that I did this.